Z-Man Pop ShadZ Topwater Softbait - Redbone. Constructed of high floating, 10X tough ElaZtech material, this soft plastic surface popper has a cupped face that pops, spits and chugs on the surface for maximum attraction. 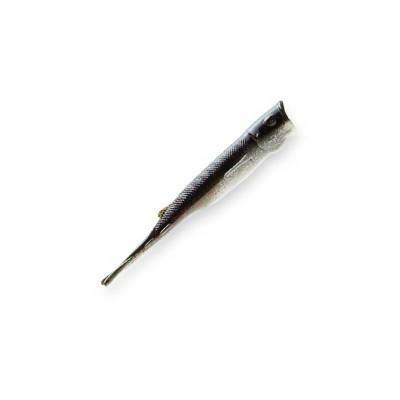 Buoyant enough to float heavy gauge hooks and has a profile that accurately mimics fresh and saltwater forage species. 5" long. Sold in bag of 3. Assorted colors available.